Refreshing and rejuvenating, its aroma inspires and brings fresh energy, clears the mind. Very comforting, soothing and warming. 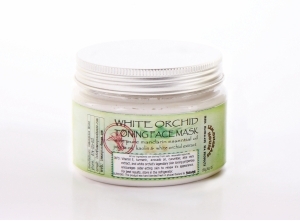 White Clay Face Masks formulated to revitalize and tone the skin, with pure extracts of Aloe Vera working to leave the skin looking healthy & refreshed.